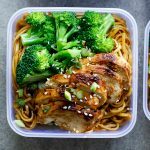 This soy honey noodle salad with chicken and broccoli is an easy, healthy lunch recipe and perfect for making ahead. Busy days driving kids around, trying to stick to your schedule and trying to get through your to-do list (that damn to-do list!) is hard enough but add the pressure of feeding your family (or just yourself) and it’s enough to tip anyone over the edge. I can’t stand the “what’s for breakfast/lunch/dinner?” I get like clockwork every day because you know what? Sometimes I don’t know. Sometimes I stand in front of the fridge willing the food inside to inspire me. That’s if I managed to make it to the supermarket. A few weeks ago I decided to jump on the meal prep bandwagon because even though I cook and shoot food most days, there are those meals that I just never have inspiration for. Lunch happens to be one of those. It’s just way easier to buy a ready-made sandwich than to think about what to make so I decided to start prepping a few lunch options at the beginning of the week to make the after-school rush a little more bearable. 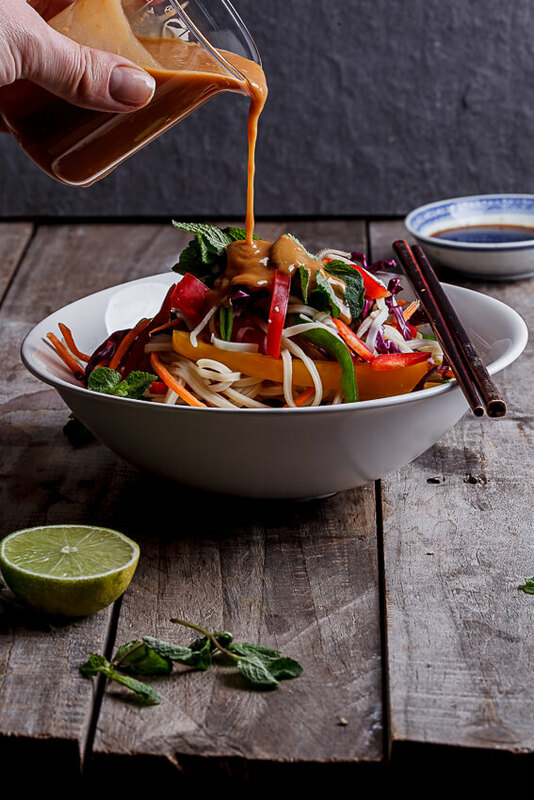 This soy honey noodle salad has proven to be a big crowd favourite. Most often I add chicken and broccoli but I’ve also kept it vegetarian at times by topping it with whatever veg I have in the fridge (sugar snaps, green beans, bell pepper and carrots all work well). 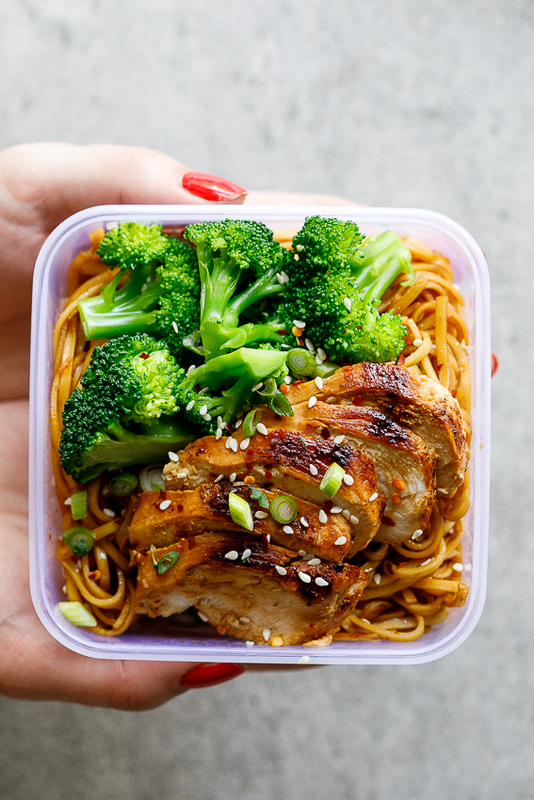 It’s an easy, healthy lunch recipe that takes very little effort to prep before I can portion it out into individual servings and store in the fridge until someone asks for something to eat. Easy peasy and absolutely delicious. For the noodle salad: Cook the noodles in salted boiling water until al dente then drain and rinse with cold water. 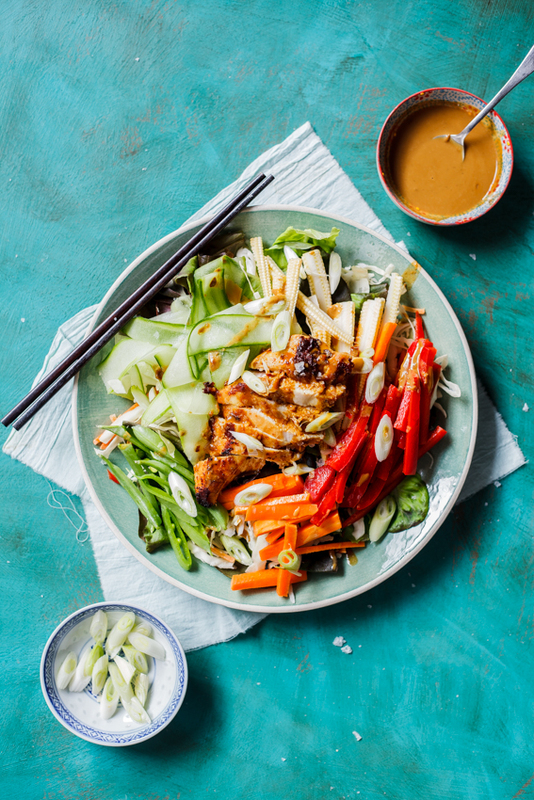 Place in a large bowl with the sesame seeds and spring onion. Combine the soy sauce, honey, lemon juice, garlic powder, vegetable oil, chilli flakes and seasoning and mix well. Pour ¾ the dressing over the noodles and toss to combine. Top the dressed noodles with sliced chicken and broccoli then pour over the remaining dressing. 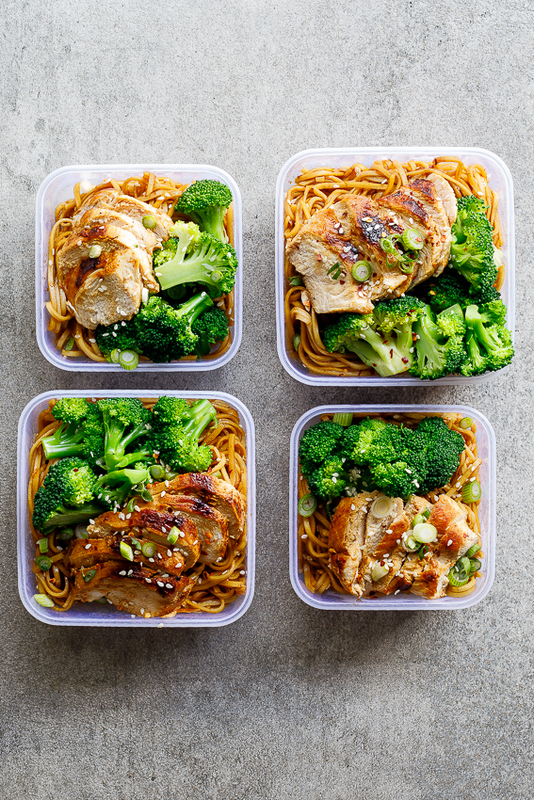 For meal prep: Add all the elements to plastic/glass lidded containers then place in the fridge for up to 4 days. Any noodles you like to use, I usually just make it with egg noodles. This looks delicious. Going to give it a good go. Not super amazing in the kitchen or with ideas so this looks right up my street. Do you know roughly what the number of calories is for this? Good luck, I’m sure you’ll love it! I’ll update the recipe with nutritional information soon. Calorie info would be a dream come true ?? Made this for lunch this week and it was so tasty. The noodle salad is the best I’ve ever made. Two thumbs up! Either way. My daughter can’t stand cold noodles so I warm hers up but we have it cold. 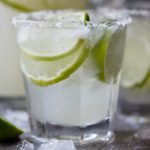 These look so good Alida! Perfect to have already prepared for those busy days! So nice and healthy too. 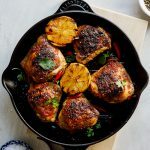 I love serving it cold but if you wanted to heat it up, in a pan would be fine. I happened to have all these ingredients in the house (except for sesame seeds) so am making this for dinner. That dressing is to die for! Can’t wait to eat. Great recipe. Oh yay! I hope you love it Lara! I love the idea of making a salad like this for the week ahead. 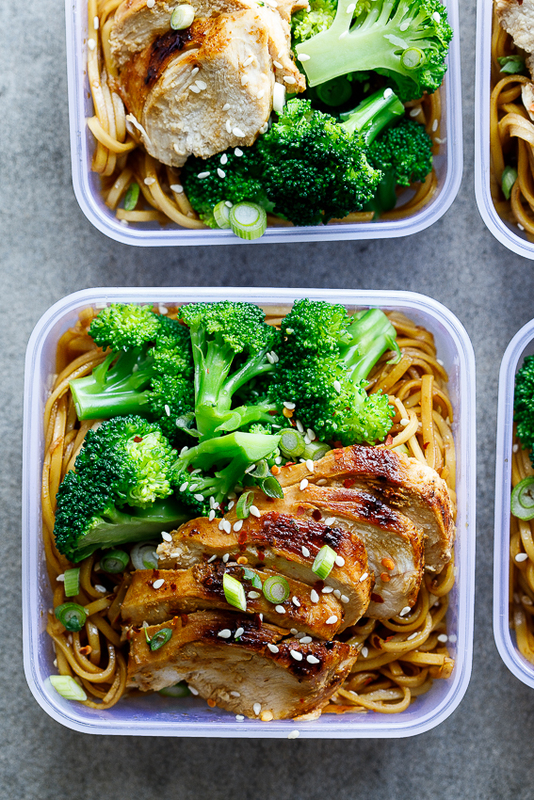 My kids have lunch at school but I am most often tempted by a takeaway or something unhealthy yet convenient. Will definitely try this. Thanks Alida! I’m so glad you like the look of it Camilla. I’m exactly the same so this gives me no excuses not to eat healthy. Yum! Definitely making this soon. Let me know what you think once you’ve tried it Jen!